The Isle of Man have been designated an offshore financial centre by the OECD, the IMF and the Financial Secrecy Index. The corporation tax is 0% for most types of income, but there are few notable exceptions. For instance, profits of banks are taxed at 10% and profits of income from land and/or buildings on the Isle of Man are also taxed at 10%. There is an individual income tax, but it is comparatively low – the top rate of income tax is just 20%. There is also a tax cap to consider that caps the maximum amount of tax payable by an individual at 120,000 GBP. For a couple that elects to have the two individual’s incomes assessed jointly, the cap is 240,000 GBP. Personal income is assessed and taxed on a total worldwide income basis – not on a remittance basis. This means that all income earned anywhere in the world is assessable for Manx tax, not just income earned in the Island of Man or brought to the Island of Man. The key pillars of the Manx economy are offshore banking, manufacturing and tourism. Agriculture and fishing were very important in the past, but today, no more than 3% of the labour force works with agriculture, fishing or forestry. Banking and finance employs 18% of the labour force, as do professional and scientific services. The most important trading partner is the United Kingdom, with which the island is in a customs union. (Related revenues are pooled and shared under the Common Purse Agreement.) As a consequence, the Isle of Man is not allowed to have the lower excise revenues on alcohol and other goods for which the Channel Islands have become famous. In the 21st century, the Isle of Man has become an increasingly important base for online gambling companies active within Europe. PokerStars did for instance relocate its headquarters from Costa Rica to Isle of Man in 2005. 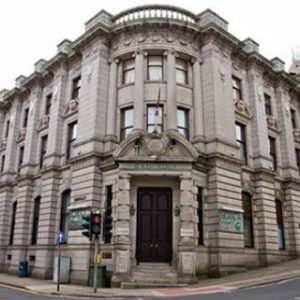 In 2017, an office of The International Stock Exchange was opened in Isle of Man. Isle of man is trying to get a part of the growing binary options market. They are working to offer a good competitive legislation to attract brokers to Isle of man. Isle of man have however decided to focus on the gambling aspect of binary options and will regulated them under Isle of Man Gambling Supervision Commission (GSC). This sets them apart from Malta and Cyprus who have chosen to regulated binary options as financial instruments. You can read more about binary options and how they work here. The Isle of Man (Manx:Ellan Vannin orMannin)is a self-governing crown dependency with the British monarch as its head of state. The current monarch, Elizabeth II, holds the title Lord of Mann. 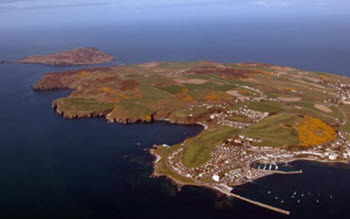 The Isle of Man crown dependency consists of the main island and few small nearby islets, including the Calf of Man, the Chicken Rock, St Patrick’s Isle and St Michael’s Isle. Located in the Irish Sea between England and Northern Ireland, the Isle of Man has been inhabited since before 6500 BC. The Manx language developed on the island after the 5th century, due to Gaelic cultural influence. After being ruled by Norwegians, the island was under Scottish rule in the 13th and 14th century before coming under the feudal lordship of the English Crown in 1399. In 1765, the lordship revested into the British Crown, but Isle of Man did not become a part of the Kingdom of Great Britian. When the United Kingdom was formed, the Isle of Man remained outside and retained its status as a self-governing Crown dependency. The Manx pound is the official currency, but the Pound sterling (GBP) is also widely accepted.